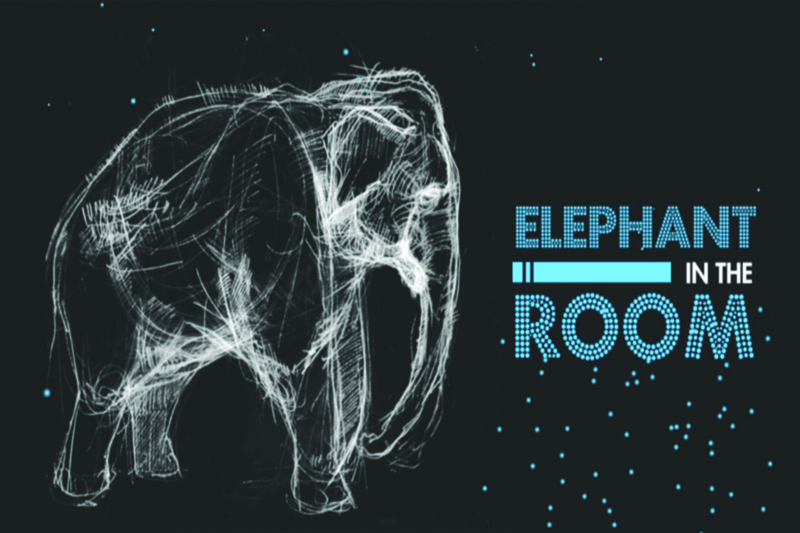 We are starting a new series with our students called Elephant in the Room. This focuses on the dark topics that the church usually doesn’t touch. These topics include: Homosexuality, Alcohol, Racism, Divorce, and Self Injury. 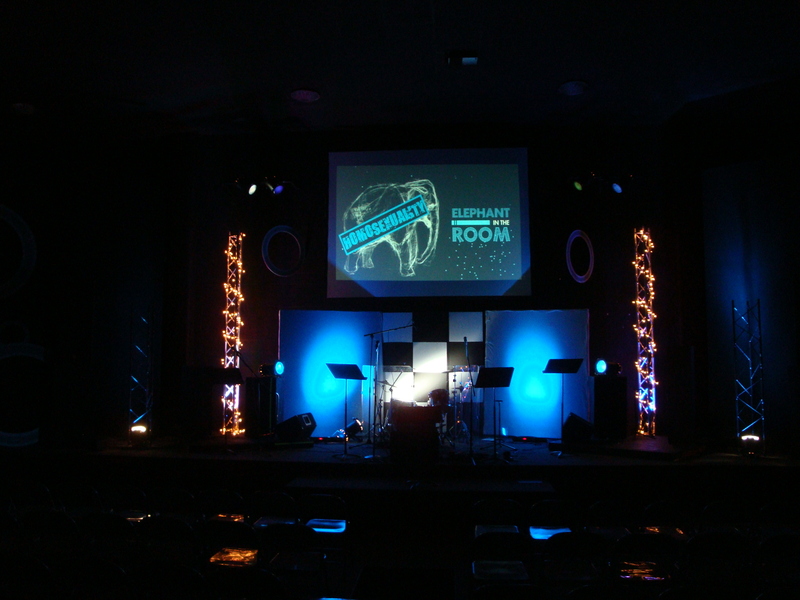 With that in mind, I focused on a darker stage set up, using lots of blues and blacks to match the graphic for our series. 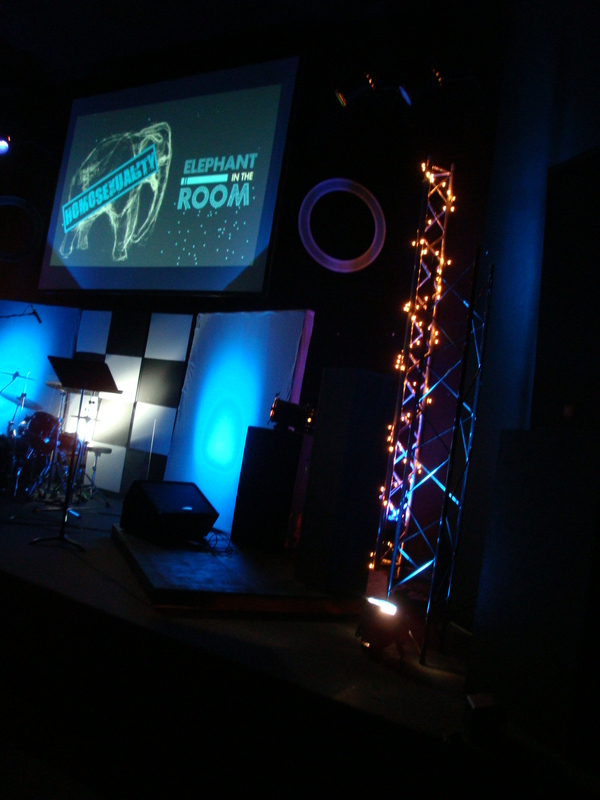 I also utilized our black walls on either side of the stage to make it look like a much larger space. I was quite pleased with the turnout. 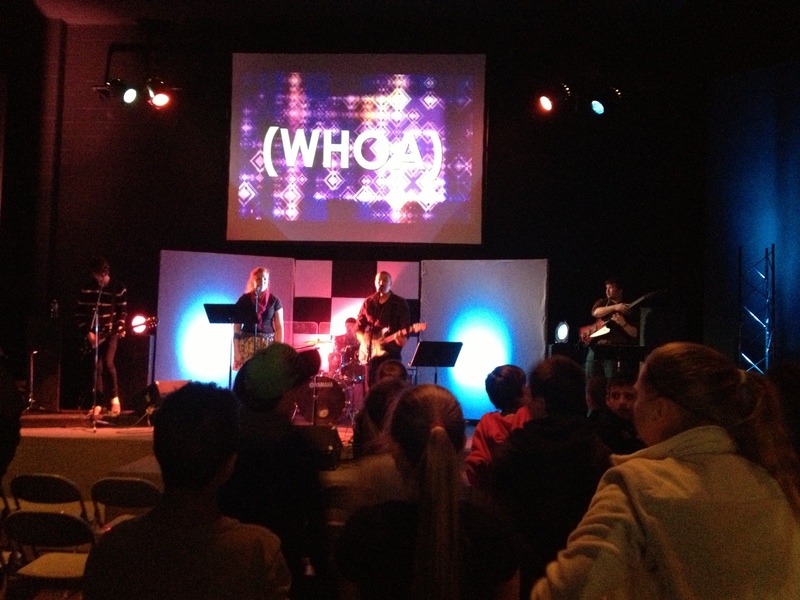 Worship is a subject that is tough when it comes to working with students. Most students have no concept of worship other than singing and the majority of the time it is hard enough to try and get them to do that. However, this is typically not by fault of the student. In most cases, we, as youth ministers do not have a solid theology of worship that we are promoting throughout the student ministry. 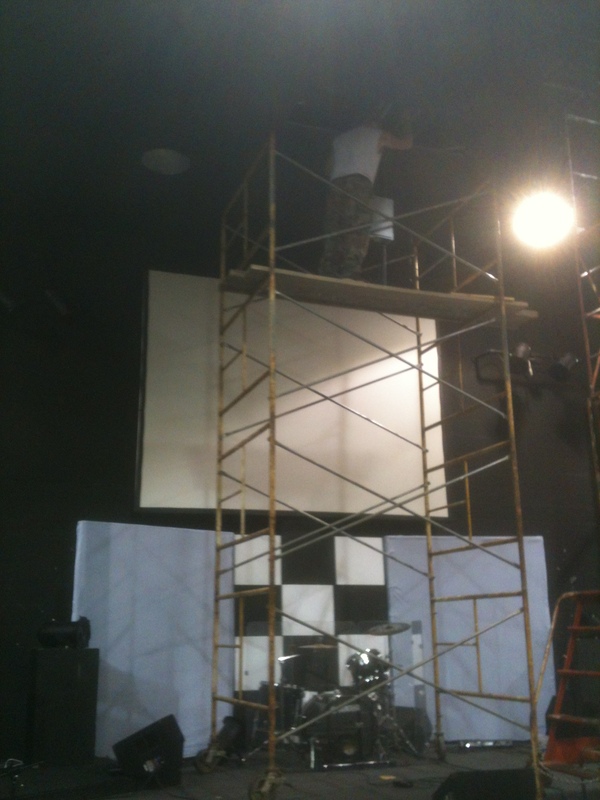 I have had the opportunity in the last several places I have worked to play a large role in student worship. This has forced me to not only develop my own theology of worship, but also figure how to teach students about worship and develop a culture of worship within student ministry. 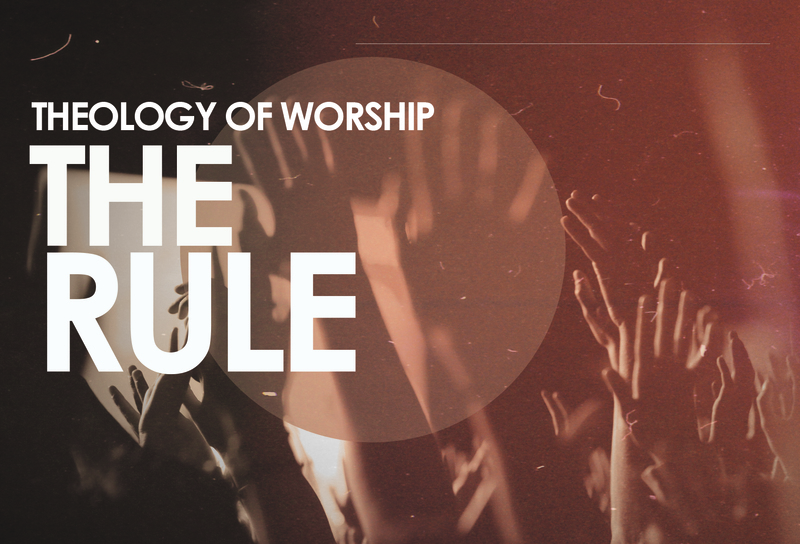 Too often our view of worship is very one-dimensional so I have developed what I like to call the R.U.L.E. of worship when working with students. This is the first and most important part. Worship doesn’t matter at all if there is no relationship with God involved. 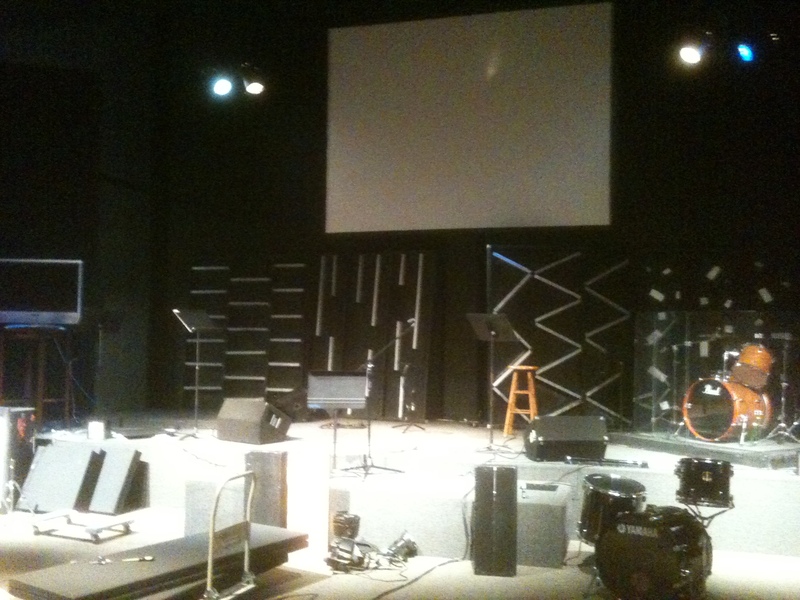 Often, as youth ministers, we wonder why none of our kids will participate in worship; this is the first place to look. We want our kids to sing, and lift their hands, and serve, and be expressive, but we forget how ridiculous of an expectation it is to think they will worship a God they have no relationship with. I like to use the illustration that, I might think my dad is amazing, but how can I expect you agree with me and back me up in this claim if you’ve never even met my dad. So what’s the solution? We have to reveal Christ to the students. If they get a true glimpse into who Christ is and what he has done, worship will be the natural outflow. However, an important notice on this one: IT DOESN’T HAPPEN AFTER ONE SERMON AND IT WILL TAKE A DIFFERENT AMOUNT OF TIME TO CATCH ON FOR EACH INDIVIDUAL STUDENT! Another thing we often overlook when working with students in worship is their basic understanding of how we worship, especially during musical worship. We want students to raise their hands, but they have no idea why we raise hands during worship. We would love to see them take on other expressions of worship but they feel uncomfortable because, again, they have no understanding of why we do these things. Here, I think it is important to find teaching times to use Scriptures to show them why we use different postures. Don’t try to do this all at once, but it is helpful to read a passage like (Psalm 28:2) before a song and explain how lifting our hands is a sign of surrender. It is also good after this developing of understanding to lead students into moments where everyone is asked to practice this posture together. 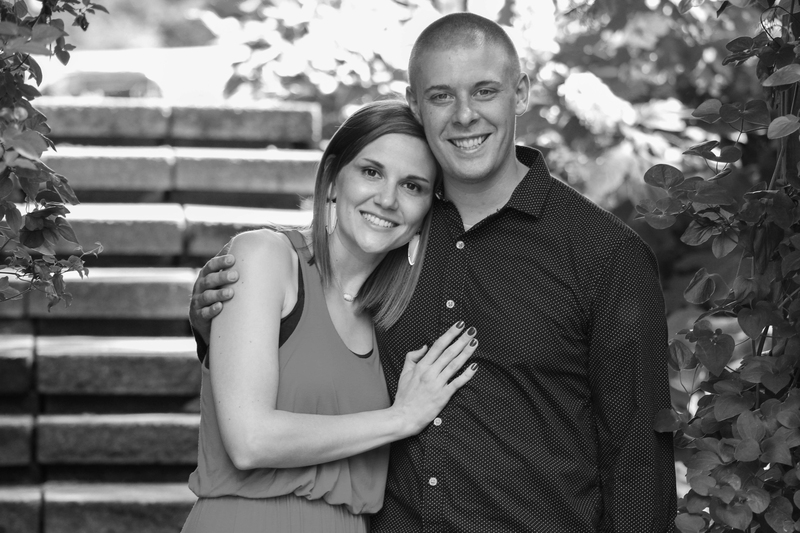 After working to help students develop a relationship with God and an understanding of worship, it is crucial that we also work to incorporate a lifestyle of worship in the ministry as well. This is the part where every student minister says, “Yep, I got that one” and it’s true. Most student ministers grasp a hold of the idea that worship isn’t just singing, it’s a lifestyle. However, I think we often fail in carrying that through. If this is part of our worship theology we need to live that out. This encompasses many things. For example, a major part of worship is serving. When we do things like missions trips and service projects, we need to make sure we vocalize that this is part of our worship to God. How often do we use things like eating together or even playing video games with students as teaching moments to say, this is a way we worship God. Another part that is so crucial to this aspect is our language. We say things like, “worship was really good today” “who is leading worship?” “I’m coming up to preach after the worship”. These give conflicting views to students and aid in creating the idea that worship is only the music we sing along to. 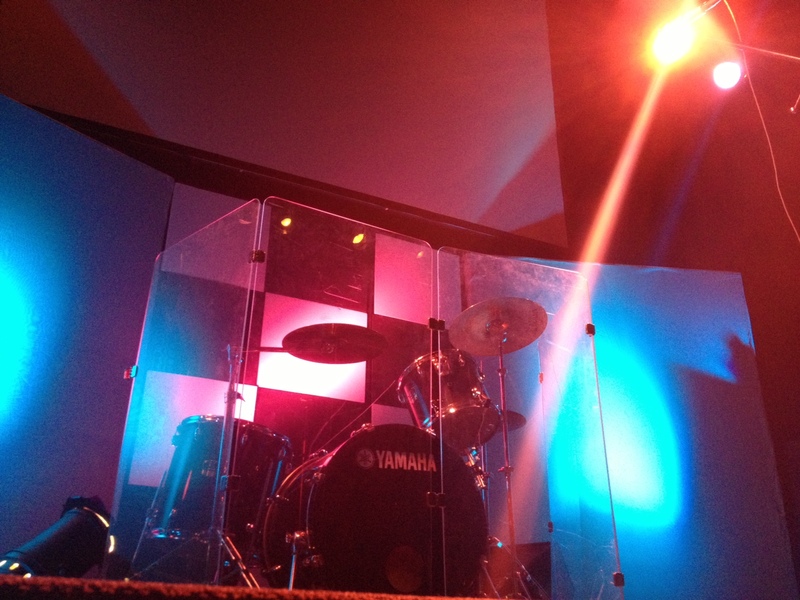 I try to use phrases like, “I enjoyed musical worship today” or “Let’s continue in worship through preaching”. These help creating the idea that music is part of worship, but not the only part. This is especially important because some kids just really hate singing. When we don’t promote worship as a lifestyle, it is easy for them to get discouraged because they feel as if they cannot participate in worshiping their God. Environment is a very touchy subject. Some people like to hate on environment and act like it is wrong to focus on. Others like to make it the most important thing. I think there is a balance between the two. Environment is extremely important, but there is a reason it is the last letter in the RULE. Environment will not help anything if the other three areas are not first addressed. However, once the other areas have been addressed, environment is huge. 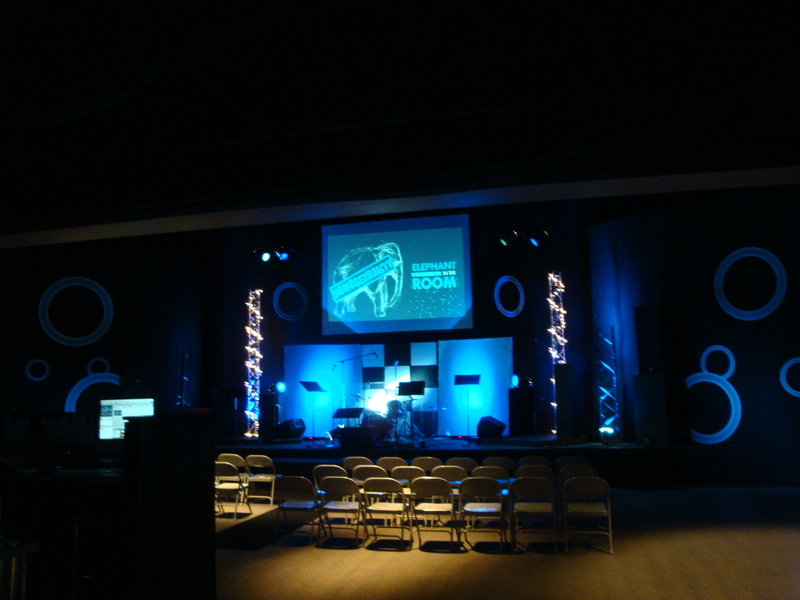 It is the popular thought to look down upon cool stage designs, big lights, tvs, and all the like during worship as taking away from worship. This couldn’t be more wrong. We are extremely sensual beings. In fact, we have five senses: hearing, taste, touch, sight, and smell, and all of these play a part in our worship. God designed us that way. When all five of these are hit on, our worship experience reaches a completely different level. 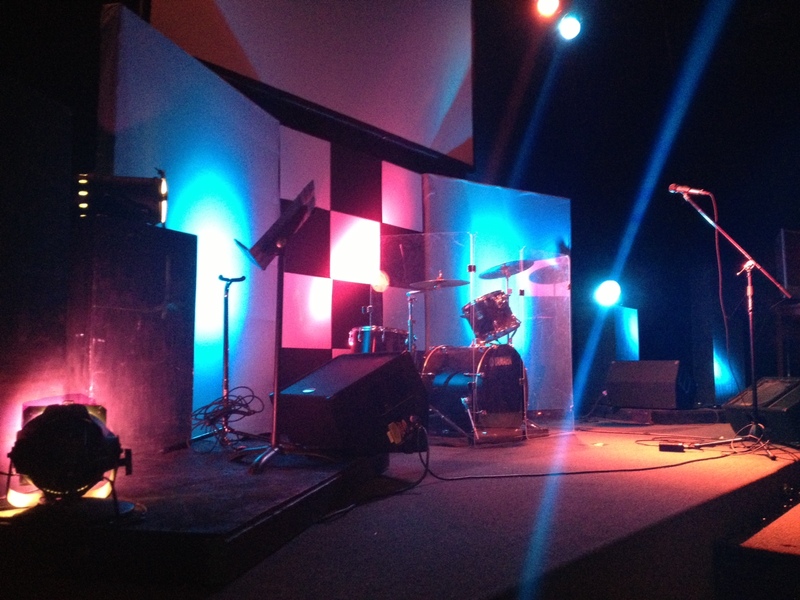 If the stage looks cool and my sight sense is engaged, but the music and vocals sound terrible, it’s hard for me to worship. If the music sounds great but we have no lights and a boring looking room, the senses God created in me are not as fully engaged in worship. If both of these things are engaged, and then I can add an experiential element to worship where students move and touch something, their worship is furthered. Likewise when we add taste (typically through communion) and then even smell (be creative in how you pull that off.). 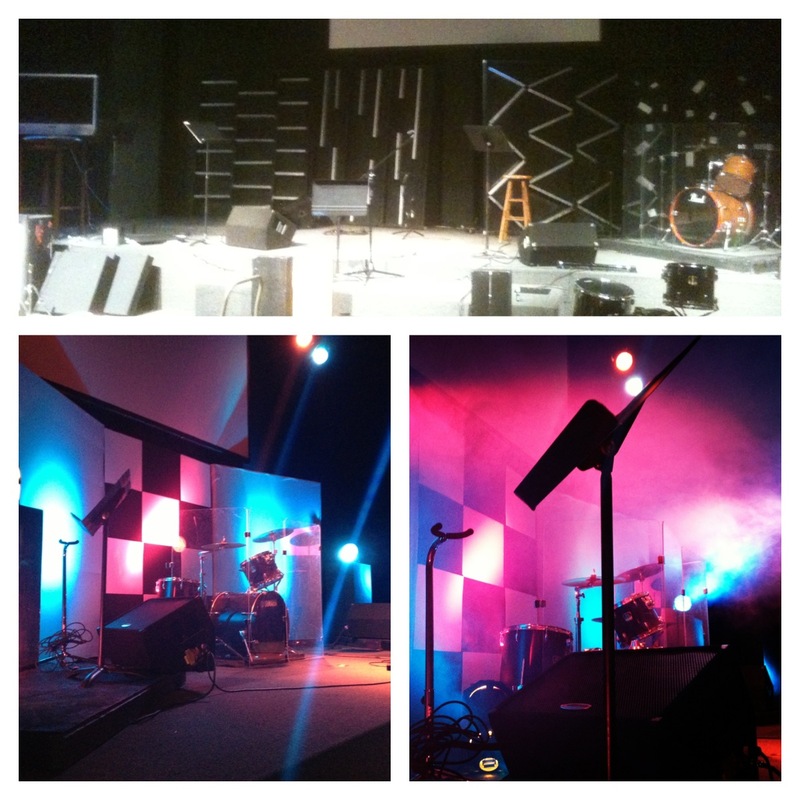 When we look at our makeup it is impossible to say that environment does not play a huge role in worship. The last thing I would say about environment is, CAN WE PLEASE STOP BEING SO SERIOUS?! For real, let’s add some fun to our worship. Do you want to see students really worship? Then maybe instead of being so dramatic and serious all the time you can have a dance party during a song, or use glow sticks, or let kids crowd surf, of whatever. Would it really kill us to worship with some laughing, and smiling, and goofing off once in awhile? Read Ecclesiastes 3:4. Overall, I wish it were as simple as it sounds. The RULE of worship is not always linear, and many of the steps take years to achieve. However if we can focus on relationships, understanding, lifestyle, and environment, we can begin to create a culture and a theology of worship that will permeate the student ministry in which we serve. 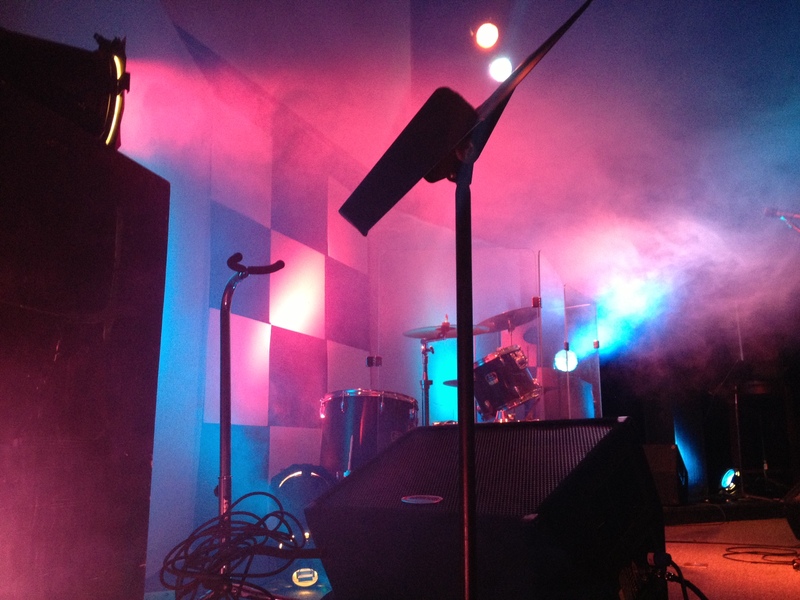 Atmosphere is a huge thing in the Student Ministry realm. 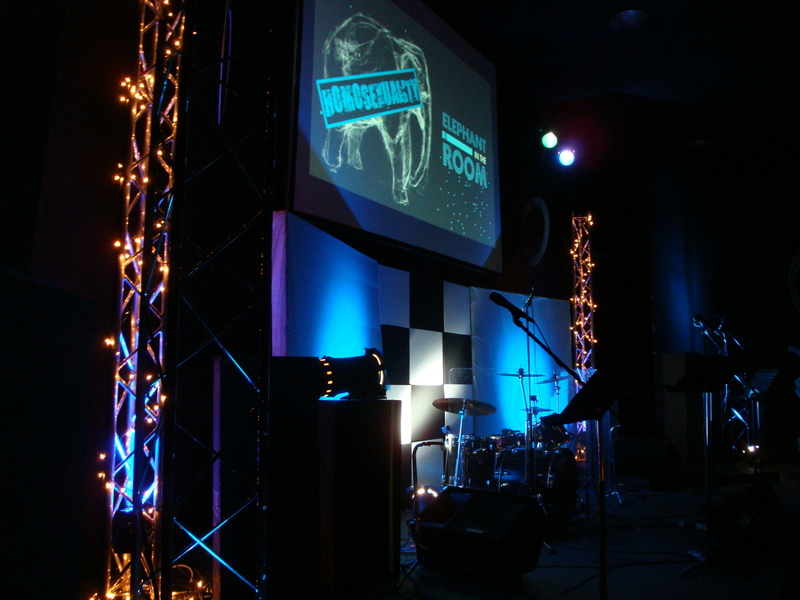 Students need an environment that caters to their tastes, that helps create a mood for worship, and honestly is cool enough to invite their friends too. 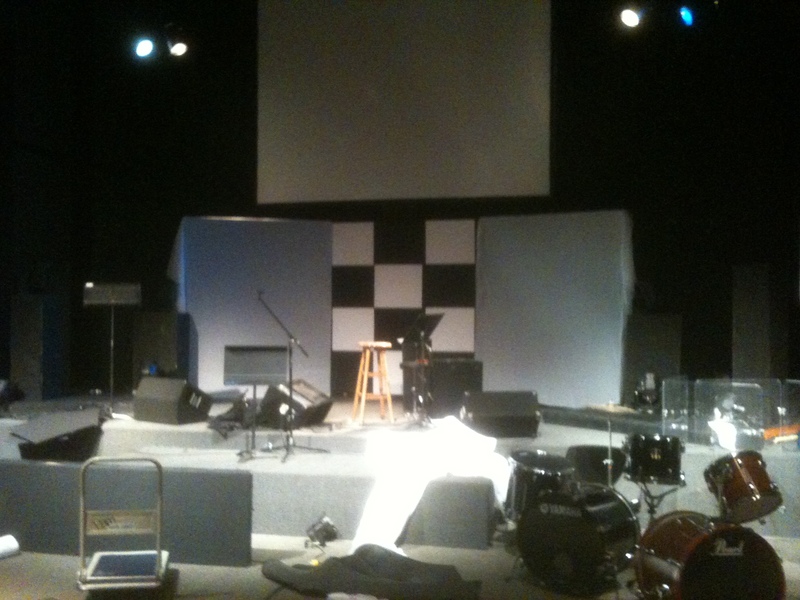 When I first started this new internship at First Christian Florissant, the stage set up hadn’t been worked on in awhile. Since I believe atmosphere is one of the most important things, I got working on this right away. I searched all throughout and was resourceful with whatever I could find. Then I started building. After a few days of hard work, this is what I ended up with and I am pretty pleased. Here is our video we made to promo the hunger “games” for summer camp this year at Compass Christian Church. Hi, I’m Chris Nelson and welcome to my site.